MODERN, ONE BEDROOM furnished apartment overlooking PARK in great location just off LEITH WALK. The property is entered from the communal hall which is well maintained . It is carpeted throughout with neutral decor. There is a very SPACIOUS open plan living room/dining room with modern kitchen off. The OPEN ASPECTS from this room give it a very peaceful feel with views over the park. 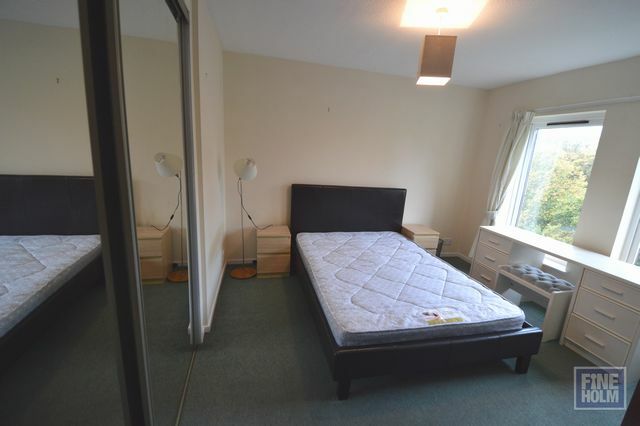 There is a double bedroom with fully fitted wardrobes and near floor to ceiling windows, again overlooking the park. There is a family bathroom and great storage cupboards.The property is centrally located and beneifts from private parking, LIFT, double glazing. Local amenties can be found on Leith Walk. Princes Street and George Street are a 5 min walk and there are fantastic bus links to all areas of the city. Landlord Registration: 97946/230/02520. EPC Pending.